It’s 2015, Where Have All The Leaders Gone? Leadership principles stand the test of time. To me these are defined by integrity, a strong sense of right and wrong, hard work, persistence and resiliency. Finally a commitment to a greater good or cause (helping others) is integral. Le adership is not popularity; good leaders will have times when they are more or less in and out of favor (see Sir. Winston Churchill). Leaders have a strong sense of their core principles from which they don’t depart, regardless of current popular opinion. Leaders are human beings and by definition are not flawless. That said, all true leaders have a sense of service – service to their organization or community and to other individuals – from which they strive to lift up organizations and people. I agree with Robert K. Greenleaf’s view on the topic. In my travels, I frequently have the opportunity to spend quality time with extraordinary individuals in all walks of life. These include Business CEOs, nonprofit directors, education experts, entertainers, politicians and just ordinary people doing their thing. Many of these individuals are not interested in public leadership, yet in their very day-to-day actions, quietly provide outstanding examples of true leadership. In a recent interaction with one highly successful CEO, our conversation led to the question of political leadership and the level of vitriol in much of the public dialogue going on. Whether in race relations, economic and entitlement disputes, or combating terrorism, one need only turn on the television and flip channels to hear it on all sides of the political spectrum. I grew up in a family of teachers and liberals. I was known back then as the “Alex P. Keaton” of my family (Michael J. Fox’s character in Family Ties) by many relatives. In other words, I was a conservative thinking person in a household of libera ls. I grew up debating the issues of the day at the kitchen table. And while at family get togethers even today, we may disagree on approach, inevitably there is agreement on many of the problems in the world and that the status quo is unacceptable. There is no name calling or questioning of each others intentions, but rather a healthy disagreement on solutions. I’m struck by how rare this is in today’s public discourse. For example, there is widespread agreement that America’s education system is failing our country, our communities and our kids. Teachers think this. Parents think this. Kids think this. CEOs think this. See What’s Holding Back American Teenagers? I view the bureaucracy and the statist entrenched interests as fundamental impediments to change for effective education. One can be quite liberal and agree with that viewpoint. Where there is significant disagreement typically are in the methods and approaches for changing it. Without addressing the solutions here (my point is leadership and constructive discourse not solving education in this post), the level of personal attacks and vitriol around the debate, is often times exacerbated by our public officials. The current fights around Common Core are bringing out some of this (see Who Is Fighting Against Common Core?). Common Core has brought conservative and liberal groups together in opposition (for very different reasons). In every state and locality, there are the powerful teachers unions who tend to oppose most reforms of any impact. In many cases they have captured the statehouses with members who pledge allegiance to them regardless of position (see Teachers union fights Cuomo’s school reforms). The debate in most cases is not a debate, but rather, a contest of sound bites to make political points, usually denigrating the opponents. Back to my conversation with the CEO above, we reminisced about leaders in the past who seemed to b e above the fray and always showed class and respect for their opponents. I mentioned President Ronald Reagan, whom I never had the chance to meet, but admired greatly. I have read and heard from those who knew him, that Reagan treated everyone with respect. He would speak to the gardener, as he would address a world leader. He was also willing to take tough stands regardless of the political winds. 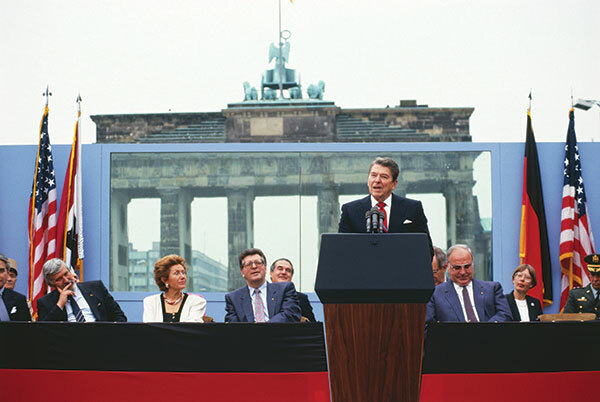 His advisors and speechwriters, the State Department and all around him reportedly advised strongly against any mention of the Berlin Wall coming down. 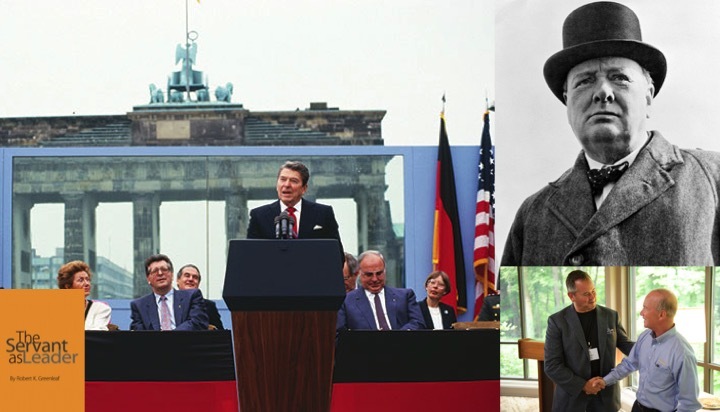 When Reagan made his now famous speech at the Brandenburg Gate he overruled them all as he spoke that incredible call to action “Tear Down This Wall”. All agree it was a pivotal moment in the history of cold war, and it would not have come to be had he been willing to say what he thought was right at that moment. I remember Senator Daniel Patrick Moynihan exhibiting these qualities and being willing to tackle tough issues regardless of the dogma of his party. He had an ability to reach across the aisle and collaborate with political foes on important issues. 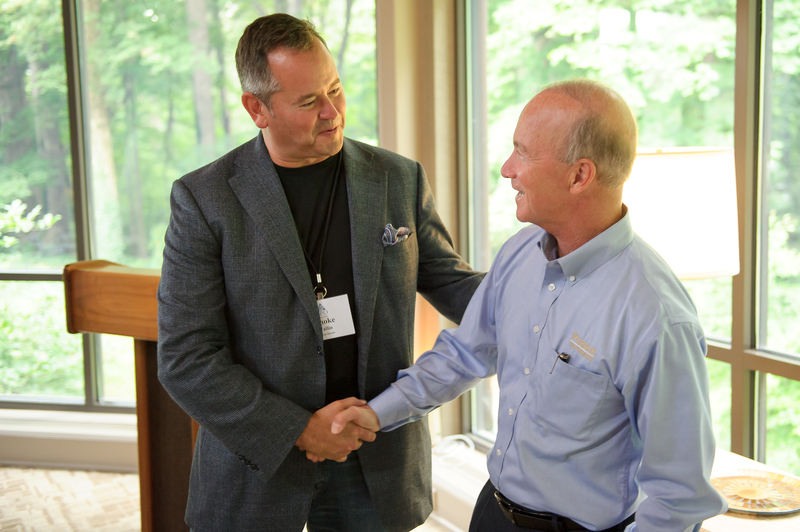 Former Indiana Governor and current Purdue University President Mitch Daniels has this quality as well. Mitch served for a purpose, and it was NOT for the purpose of being in office. These were leaders in the true sense of the word. Individuals who would stand by their convictions in spite of opposition, but who never seemed to make personal attacks against individuals. They also served in the true sense of the word. I miss that. I’m not saying there are no leaders today who exhibit these characteristics, but it is simply too rare. As long as personal attacks of motives and cult of personality (regardless of how bad the behavior) are accepted and even encouraged, this will remain the case. I fundamentally believe one can disagree on ideas and still have great respect for others. This is true in politics, business and life. As serial entrepreneur, Sir. Richard Branson posted today “The importance of good neighbors is often underappreciated. By fostering a healthy and respectful relationship, everybody stands to gain.” I have many friends who exhibit these qualities traveling to Melbourne, Australia this week for the Global Leadership Conference (GLC) for the Young Presidents Organization (YPO/WPO). In business and nonprofits, and community organizations, there are individuals exhibiting great leadership every day. I’d be interested in hearing your examples of people who exhibit the qualities of true leaders in their words and deeds. Have you ever wanted to ask someone questions about their career path? How I Did It asks those questions for you. Serial entrepreneur and beverage magnate J. Smoke Wallin, MBA’93, starts off this recurring series. I turn ideas into actionable things. Whether working on community issues, industry issues or business ideas, time and time again, I tackle a challenge by manifesting something that was not before. In recent years, I have been looking for ways to acquire or create new brand businesses in the beer, wine and spirits space. This pursuit has taken many a twist and turn, and the process has not always been pretty. Today I run several businesses. 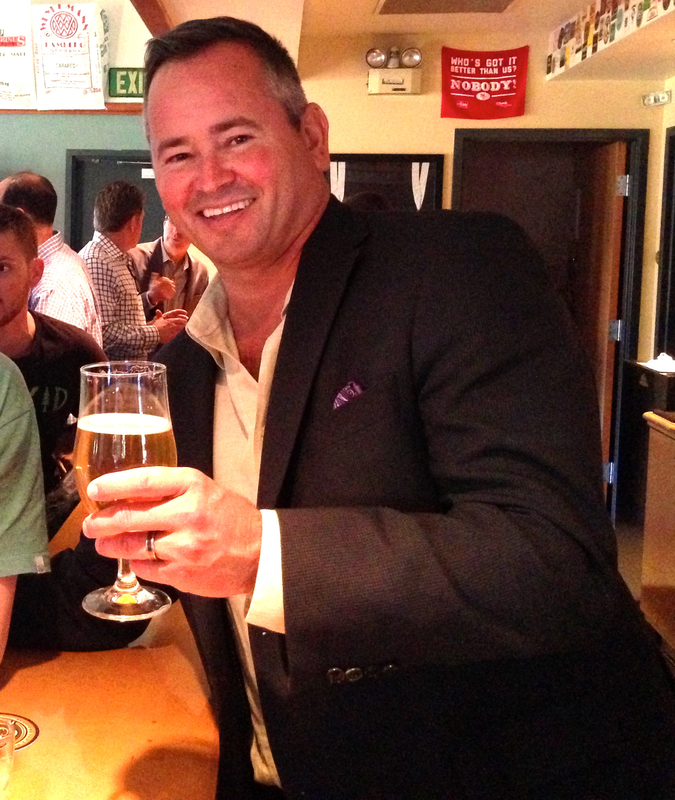 I am president and CEO of the Napa Smith Brewery and Winery in Napa, Calif. I acquired the brewery in late 2010 with some partners. We sell in 10 states and Sweden, the U.K. and Hong Kong. I serve as managing director of Lipman Brands, a brand marketing and sales company. My task has been to build out the infrastructure (systems, process and people) for Lipman Brands to be a national selling organization. I am chairman, CEO and founder of eSkye Solutions, a technology dot-com I started with a number of Owen alumni back in 1999. Though we have changed our business model a number of times, acquired numerous companies and sold our winery software division in 2007, we continue to build our national account pricing business with large retailers and brands. And through my holding company, I am still engaged in various consulting projects for new brands, existing businesses and startups. This is a minor part of my job, but it keeps me in touch with new ideas, people and opportunities. I started as an engineer at Cornell, then was in the hotel management school and then settled on agricultural economics (Cornell’s undergraduate business program). It turns out my time in hospitality management and the agricultural economics department—with a huge emphasis on the grocery and consumer packaged goods industries—gave me a great initial preparation for the beverage industry. At Owen I had a triple concentration in finance, marketing and operations. My view was I wanted to be a general manager/entrepreneur so I needed to learn about all those areas. My first job out of Cornell was with Seagram in their management training program. 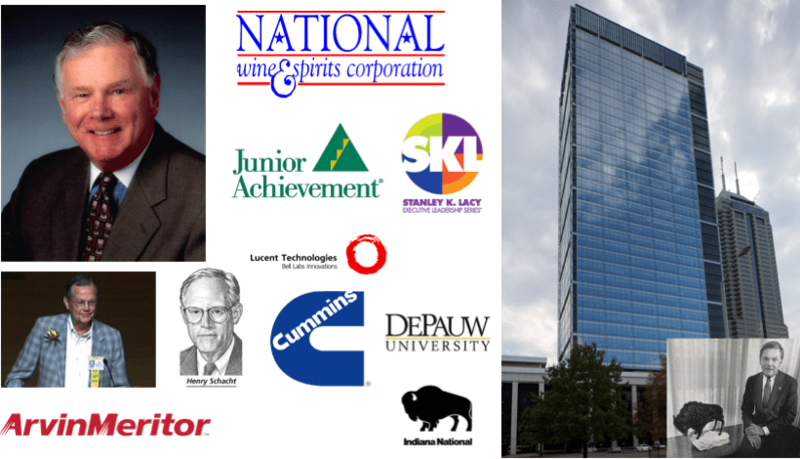 After a summer at Seagram, I had the opportunity to join them full time or join their distributor, National Wine and Spirits. I joined NWS when it was doing $150 million annually. When I left 14 years later, we were a $1 billion operation. Q. Tell us about your consulting and brand work. With eSkye, we were doing business with beer, wine and spirits companies all over the world. At one point we had over 250 wineries making or selling their wine using our software. I ended up advising many clients on not just their technology but also on their distribution and business strategy. I got a bit frustrated with trying to get an old, sleepy and successful industry to be creative in their business strategy. This inevitably led me to want to own my own brands so I could demonstrate my ideas in real life. Starting a new business takes a level of commitment that has to overcome huge obstacles. To make such a commitment, one has to be fairly passionate about whatever it is one does. I have been passionate about the brands business for some time now. Q. What would you say was your big break or opportunity? Growing up with a mom who was (and is) very independent-minded, hard-working and stubborn. Becoming a wrestler in high school and later at Cornell. No sport teaches better discipline and self-reliance. Select coaches, teachers and mentors along the way who saw potential in a kid with big ideas and no wallet. Q. What was—or has been—your biggest challenge? Overcoming financial distress when either markets or circumstances have gone against me at select moments. …The good news is, if you can get through those times and never forget them, it makes for a wiser, more humble perspective. This is something I think I was meant to learn. Q. What was—or has been—your greatest thrill (or accomplishment if you’d prefer to answer that)? Biggest thrills: Closing on a $110 million bond deal for NWS as CFO, closing on a $60 million equity deal for eSkye as CEO and acquiring the Napa Smith Brewery. Also a handful of sales closes over the years that were big enough to materially impact that particular business. Biggest accomplishments: I would say seeing some of the people I hired, believed in and worked with go on to be very successful in their own right. That includes some Owen grads and many others along the way. Q. If you could give one piece of advice, what would it be? Don’t let fear prevent you from pursing your dreams. Nothing great was ever accomplished by someone who simply thought great things. It only happens in doing. Enjoy the journey. I spent a lot of energy focusing on outcomes: raising money, IPOs, deals and sale closes. Those are important, but enjoying the process of getting there, each and every day, needs to be constantly remembered. This is where we spend most of our time and if that is so, how do you want to remember most of your time? Easier said than done, but you asked for advice. For those of you who have followed this blog over the years, you will know that it was launched in 2005 when we first created WITS. The 6th Wine Industry Technology Symposium promises to be our best ever. Besides an action packed agenda of break out sessions with real take home value, I am very pleased with our two keynote speakers Michael Gelb and Abbey Klaassen. Both of these accomplished individuals represent what WITS is all about, innovation and how we can all adopt to the changing business environment in which we live. I hope you choose to join me at this year’s conference. It will be worth the effort. See you in Napa! June 9, 2010, Napa, CA – Abbey Klaassen, Executive Editor of Advertising Age, a leading global source of news, intelligence and conversation for marketing and media communities will deliver the keynote speech at the sixth annual Wine Industry Technology Symposium (WITS)® July 13-14, 2010 at the Marriott Napa Valley. June 22, 2010, Napa, CA – Michael Gelb, author of international best seller How to Think Like Leonardo Da Vinci, Innovate Like Edison: The Five-Step System for Breakthrough Business Success and Wine Drinking For Inspired Thinking: Uncork Your Creative Juices will deliver the keynote speech at the sixth annual Wine Industry Technology Symposium® (WITS) July 13-14, 2010 at the Marriott Napa Valley. 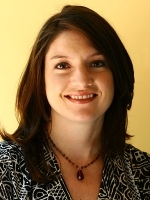 Gelb’s general session address, titled “How to Think Like Leonardo Da Vinci,” will discuss the application of genius thinking to personal and organizational development. Gelb is a pioneer in the fields of creative thinking, accelerated learning, and innovative leadership and has more than 30 years of experience as a professional speaker, seminar leader and organizational consultant. Gelb will not only be one of the keynote speakers in the general session but will also be a speaker for the networking dinner being held at the Napa Marriott on Tuesday night, July 13th. His address, titled “Wine Drinking for Inspired Thinking: Uncork Your Creative Juices,” also the title of his book, will discuss expanding creativity through wine appreciation. 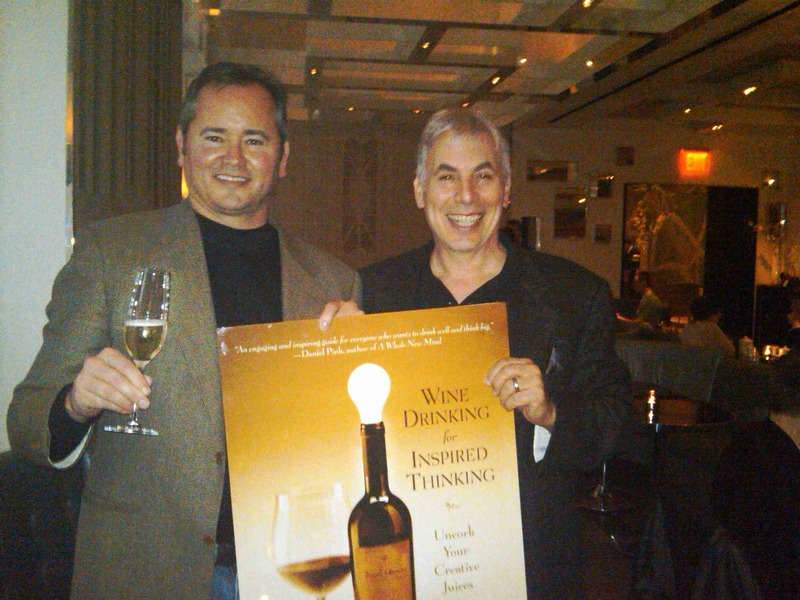 Gelb’s book comes highly recommended by wine authorities such as Gary Vaynerchuk, Host of Wine Library TV and Robert Parker Jr., The Wine Advocate and others. Tickets are available online before Friday July 3rd and at the “early bird” price of $100 for day one and $250 for day two, per guest. After July 4th, registrants pay the full price of $150 and $300, respectively. Full program details are available online. New Film Takes Unprecedented Historic View of America’s Wine Industry – ‘America’s Wine: The Legacy of Prohibition’ Includes Interviews Which Chronicle The Rebuilding Of The Wine Industry And The Emergence Of A New American Wine Culture. NEW YORK, NY, November 06, 2009 /24-7PressRelease/ — Wine 2.0, the innovator in social networking and events in the wine industry, announces the Premiere and New York release of the documentary film America’s Wine: The Legacy of Prohibition at Wine 2.0 New York, November 18th at Webster Hall. The new documentary film, commissioned by UC Berkeley’s world renowned Bancroft Library, is an in-depth look at wine in America. It covers everything from the “Noble Experiment” of Prohibition, which decimated the vibrant wine community, to the rise of the “Phoenix” generation of wine pioneers including Robert Mondavi and Ernest Gallo to the more recent battles over direct shipping of wines to consumers. No wine lover should miss this historic film. ‘America’s Wine: The Legacy of Prohibition’ will be showcased in a Reserve and Trade Event prior to the over 1,000 wine and tech lovers and media at Wine 2.0 New York and supported on Wine 2.0’s social network www.winetwo.net with a public fan page. Carla De Luca Worfolk, the Director, Executive Producer and Writer will have an interview with Wine 2.0 New York to discuss the film and wine with attendees. Media interviews are available. 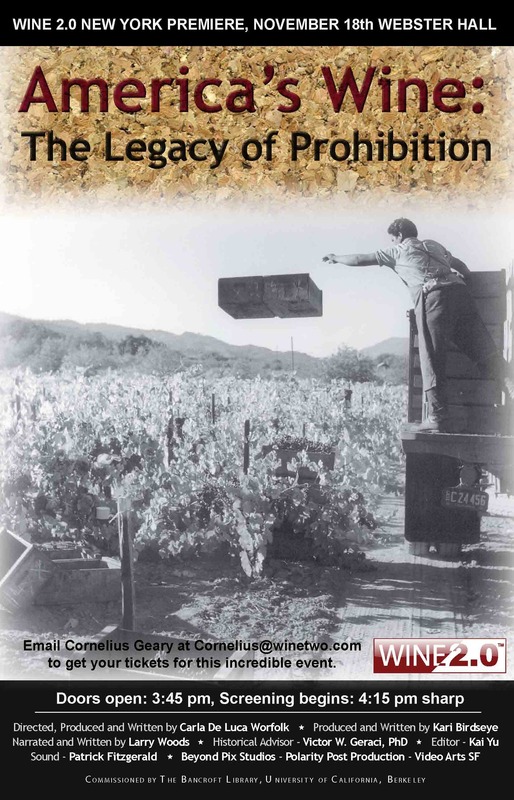 Three years ago Bancroft’s Regional Oral History Office at the University of California, Berkeley, embarked on a project to augment the California Wine Industry Oral History Collection with a documentary to mark the 75th anniversary of the Repeal of Prohibition. In the making of the film, De Luca Worfolk and wine historian Dr. Victor Geraci used scholarly oral histories from the Bancroft’s Regional Oral History Office and Bancroft archival materials, augmented with over 40 original interviews and photographs and film clips from numerous other collections, to provide an historical overview of the legacy of Prohibition and the rebuilding of a new American Wine Culture. America’s Wine: The Legacy of Prohibition is a documentary film celebrating the rich history of the American Wine Industry. This documentary offers an unprecedented overview of the legacy of National Prohibition (1920-1933) and its continuing impact on the wine industry and everyday lives of Americans. Covering a span of one hundred years of winemaking up to the present day, the film tells the story of how the leading entrepreneurial wine families overcame obstacles to rebuild the American wine industry, which had been decimated after National Prohibition and its Repeal. 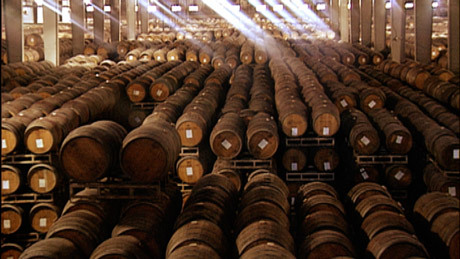 From within this historical context, the film also explores the most significant news-making subject areas in today’s media that reveal Prohibition’s legacy: laws governing direct shipping of wine to consumers; scientific research that influences alcohol and health policy; and the changing global marketplace. Marking the 75th Anniversary of Prohibition’s Repeal, the documentary brings to life never-before-seen archival photographs and film clips, and features nearly 40 interviews including those who experienced Prohibition, historians, winemakers, members of Congress, and public policy experts. Among those filmed are Kevin Starr, California Librarian Emeritus, Leon Panetta, Former Chief of Staff for President Bill Clinton, and Kathleen Sullivan, Former Dean of Stanford Law School, as well as legendary winemakers Brother Timothy, Robert Mondavi, and Ernest Gallo. Through differing views and historical perspectives, the interviews contribute informed commentary as the documentary chronicles the rejuvenation of the American wine industry and the emergence today of a new American wine culture. It also pays tribute to the passing of a historic generation. Equally significant are the insights fueling the continuing societal debate over the issue of alcohol in America.